Guess What Celebrity Couple is Expecting? 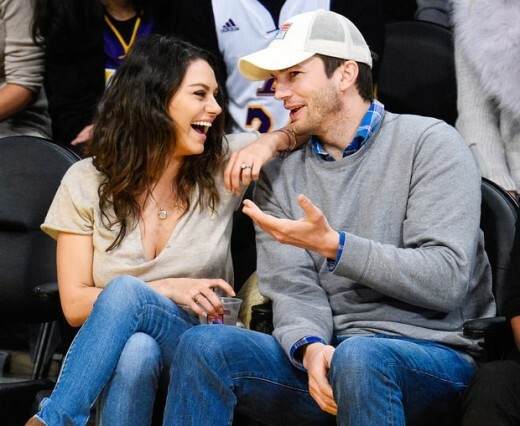 Congratulations are in order for our favorite TV couple, Ashton Kutcher and Mila Kunis! News broke earlier this week that the couple of four years is expecting their second child. They are already parents to 1 year old Wyatt Isabelle. The couple met years ago on the set of That ’70s Show and started dating in 2012. They married in a secret ceremony last July. They are known for keeping a pretty tight lid on their private lives and have yet to announce a gender or due date. What do you guys think the name will be? Lets hope we get to see more pics of the new addition than we did of Wyatt. Can you believe they’ve only shared one picture of her in almost two years? Let us know your thoughts in the comments. And congratulations Mila and Ashton! I think it’s great. They are so cute together!